Faro, the Algarve’s administrative capital, is located in the south of Portugal. The municipality comprises 4 parishes: United Parishes of Conceição and Estoi, Santa Bárbara de Nexe Parish, Montenegro Parish and United Parishes of Sé and São Pedro, having around 65.000 inhabitants distributed by 210 km2 and being around 30% of that area part of the Ria Formosa Natural Reserve. The city is south bordered by a 19 km length dune, interrupted by openings that connect the sea to the Ria Formosa, forming 3 main islands. Faro is a millenary city to be (re)discovered. The pre-roman town called Ossónoba was one of the most important urban centres in the south of the Iberian Peninsula. Today, due to its location, as well as for being a capital city, Faro has the most important infrastructures and public services existent in the Algarve region. The airport early receives more than 5.000.000 tourists; the University is internationally acknowledged in Marine Sciences, Tourism Management Studies and Biotechnologies; the Algarve Central Hospital and 6 high schools are facilities that state Faro’s central position. The council’s cultural and sportive dynamic is a strong allied to its capital role. You may visit the islands by boat, however one of them – Faro Island - is also accessible by car. The islands are places of excellence where you can take a pleasant walk in the natural surroundings of the Ria Formosa Nature Park. You may also enjoy boat trips, bicycle rides, trail walks and bird watching along the Ria. The local gastronomy, based in the Ria Formosa’s shellfish, the white sand and warm water beaches that in some locations is only inhabited by migratory birds, are amongst the natural features to be discovered. 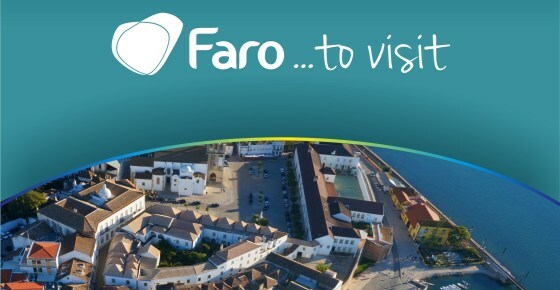 Faro is rich in natural and cultural heritage and invites you to discover it.